§ Did Not our Hearts Burn Within Us? Did Not our Hearts Burn Within Us? When Jesus Proclaims the WORD the Holy Spirit Activates it in our Hearts. If there ever as a time in world history where we need a great revival it is now. 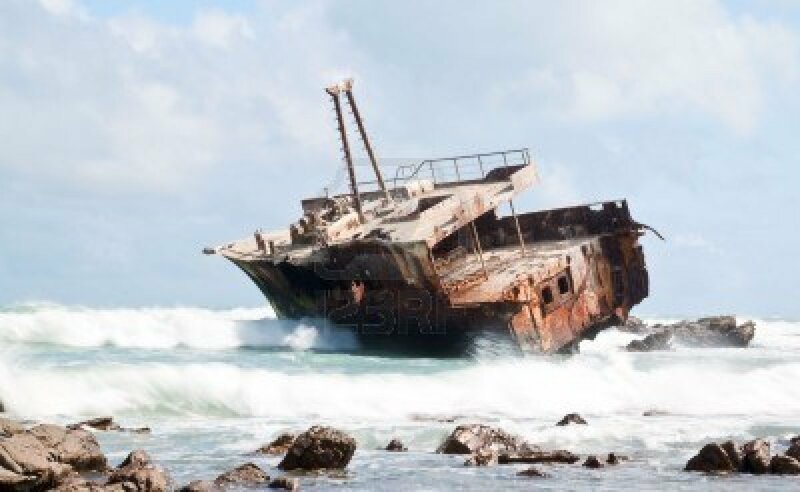 Our western culture that was once the cultural bearer of the Gospel of Christ to the world has now fallen away and not only rejects Christianity but has fallen into the grasp of the world system and a humanistic ideology that permeates and corrupts our culture to a complete falling away from the basic Judaeo-Christian principles that has kept our ship afloat. Without a new, world-wide spiritual revival, that brings us all to repentance and faith in Christ our Redeemer, our Earth will become a living Hell. I know that there are many Christian groups praying for a spiritual revival … but somehow we must be lacking something … or, Someone, … a Divine Someone who can bring our spirits to a renewed faith and spirituality so we can truly be God’s ministers of renewal in this fallen world. Someone who can empower us to preach the Word of God with power… a pure and explosive spiritual power that will reach the heart of the peoples and set their hearts on fire with a spiritually empowered fire of the Word. That Someone, my fellow pilgrims, is the Holy Spirit. Yes, we need the Holy Spirit to empower us to proclaim the Word with signs following so that the deceived world can be turned back to the truth of the Gospel. An empowerment that permits us to speak for Jesus, explaining and proclaiming the Word in such manner that our hearers will also say, “did not our hearts burn within us…” and turn their lives around for Christ. Yet, we must understand that unless God’s Word has burned within us, as the inspiration of the Holy Spirit is sometimes termed, we cannot speak for Christ as His messengers. Nor can we proclaim a Message that will burn in the hearts of our hearers. Of course, it is clear from the cited scripture, that not only did their hearts burn with inspiration at the proclamation of the scripture but their spiritual eyes were opened at the “breaking of the Bread”. This is the way it should be with us at the celebration of the Mass, where His Word is proclaimed and His Bread (another form of “His Word”) is also broken for us to receive Him, Praised be His Holy Name! Remember that Jesus told his disciples that, “ … without me you can do nothing”. So thus, if we have not yielded our lives to Christ and received Him as His Disciples, we cannot make disciples, and likewise we cannot proclaim His Word, which, as disciples is what is needed to comply with the Great Commission. It is only through the active Spirit of Christ in us and the empowerment of the Holy Spirit that we can be participants in Christ’s ministry to proclaim the Word and bring the fire of the inspired Word to the world. Without the abiding presence of Christ in us, we can do nothing. As believers, we are covered by His Blood and reconciled to the Father, but unless we have yielded ourselves to His Lordship and received the Baptism of the Holy Spirit we, as merely self-willed religious humans, have no way to accomplish His Mission here on Earth – that is to bring the Fire of His Word to others in this fallen world. He has told us that His words are Spirit and Life (Jn. 6:63)and that if we abide in Him and His Words abide in us we can ask whatever we need to fulfill His Mission (Jn15:7) and it will be granted to us. So, if you have opened the door to your heart to him and personally consecrated your life to Him (Rom.12: 1-2), then, you abide in Him, and you can ask for the anointing you need to fulfill the calling He has placed on you as His bond-servants in this world. If, you have not yet yielded yourself, but are being moved by the spirit to move in that direction then you may grow in that direction by first coming to an understanding that the WORD of God is NOT just a document that you can just read, study and receive spiritual activation. Yes, all those preliminary steps must be taken to satisfy your intellect and reason, but the most important step to spiritual empowerment is to let the Holy Spirit bring the Empowerment of the WORD to life in your Spirit so you become assimilated into the Spiritual Life that is in His Word! This will activate your spirit so that whatever you say and do and think – everything that emanates from that activation, will come not from you but from His Spirit that dwells in you. That is what spiritual empowerment is about! Unfortunately our modern christian culture does not give us all the teaching we need to move in the spiritual realm and truly understand what “walking in the spirit” really means. We must come to realize that we all need a gradual process of initiation into what a “burning”, empowered spirituality is all about, so that the Holy Spirit Himself will inspire and guide us spiritually the rest of the way. As we grow in the Word we then understand that to unite ourselves to Christ’s mission here on Earth, requires that we must first consecrate ourselves to Him so that we can truly discern the Father’s Will regarding our role as His bond-servants. Once we are consecrated to Christ we need the Empowerment of the Spirit to act in His Name. With this empowerment we are then ready to obey our Lord and Master and truly take part in His Ministry to the Church and the World. Thus, Jesus, instructing Nicodemus about His Kingdom Ministry, tells him that the Holy Spirit may open your spirit to be aware of what God is doing through the Spirit, but in order to be part of what God is doing (His Kingdom), you have to repent and dedicate yourself to Him (ie., water baptism) and then move into His ministry through the Baptism of the Holy Spirit. Matt. 3:11 “I baptize you with water for repentance, but one who is more powerful than I is coming after me; I am not worthy to carry his sandals. He will baptize you with the Holy Spirit and fire. Jesus Himself stated His Mission ..
Luke 12:49 “I came to bring fire to the earth, and how I wish it were already kindled! Are you ready to be baptized with the Holy Spirit and with Fire? May the Lord hear you prayers, and answer them …..
Are you being Conformed to Christ’s Image? All believers are called to be conformed to the image of Christ! That is God’s purpose for us, and it is to this end we should be living out the fulness of His purpose for us. One of the main problems we lay people have in living out our faith to its fullness is that most of us have left out one of the main facets of entering into a truly and complete living faith journey, namely, our personal relationship with Jesus and subsequent yielding ourselves to the Holy Spirit so He may conform us into the image of Christ that is in us (Rom.8:29). Without this facet of our faith life we cannot be “true disciples” or what may be called “Intentional Disciples”. 1. The personal interior journey of a relationship with Christ resulting in intentional discipleship. 2. The ecclesial journey into through the Church through the sacraments of initiation. 3. The journey of active practice (as evidenced by attending mass, receiving the sacraments and participating in the life and mission of the Christian community). She also makes it clear that in a study conducted by her and a Catholic Cleric indicated that the majority of Lay Catholic Christians basically assume that all that is needed to be “Catholic” are to be involved in paths 2 and 3 (the ecclesial journey and the practice of the religious tenets of the faith). To complicate matters, most of the Catholic participants in the study did not even know or understand that without the personal interior journey of “Intentional” Discipleship (#1) the other two paths become essentially a self-driven religious journey that leaves out what should be our most essential journey, that is, the personal yoking ourselves to Christ so that He and He alone may empower the Living of our Christian Life to its fulness. Because of the lack of in-depth adequate faith formation teaching (catechesis) most Catholic Christians are not properly taught the scriptural foundations behind the essential need for all of us to participate in a personal spiritual relationship with Christ that directly leads us to commit ourselves as “intentional” disciples. Without our direct and intentional consent to becoming Jesus’ disciples the Holy Spirit will NOT force discipleship on us because He respects our free will. Thus unless we come to such a commitment in our lives we CANNOT consider ourselves as TRUE DISCIPLES of Christ no matter how well we practice our religion. Discipleship requires a commitment beyond believing in Jesus – it requires a decision to surrender our lives to the Father so that the Spirit of His Son may act in us and through us for the Glory of the Father. True Discipleship is the process the Holy Spirit uses to conform us to the image of Christ during our lives (Rom.8:29). Discipleship is not a process that we perform. It is a divine process of Grace in our inner being that molds us and forms us to become more and more like Christ each day that we live. It is a process that works in every aspect of our being, body, soul and spirit as long as we cooperate with the Holy Spirit in His work of Grace. It is a process that leads to what is called a state of Holiness. That is, a state where every part of our being is set apart for God’s use and direction to accomplish His purposes, not ours. In order to facilitate our meditation on assessing our discipleship. I will list below several scriptures and my commentaries so that my readers may pray over this theme and let the Holy Spirit guide them in discerning where they stand as disciples. One of the first themes I propose we consider for meditation is that of the Good Shepherd. If we are to be truly His disciples then we must truly be one of His sheep. Point: Jesus is declaring that to be one of His Sheep you need to have a “knowing, living” relationship with Jesus that emulates His relationship to the Father. Are you in your inner spiritual life living out and experiencing such a relationship? If not. Why Not? Point: Jesus leads His sheep through a personal interaction by speaking directly to them so they can recognize His Voice and not follow a stranger’s voice. Do you have a daily dialogue with Jesus in prayer so that you hear and know His Voice and thus are able to follow Him and learn from Him? If not. Why Not? Point: Those who are called to be disciples “know” who Jesus is in their hearts and thus have spiritual ears to hear and listen to His Voice and follow Him. If you have heard His Voice, then all you have to do to enter into discipleship is decide to follow Him and act on your decision by making a commitment in faith to Him directly! Comment: In the above discussion we may be faced with a dilemma. We have a strong desire to act on our desire to follow Jesus but we have never experienced a dialogue with Jesus or really understood what the Kingdom of God that He preaches is about. Comment: Notice that Jesus equates the effects of God working through His ministry, that Nicodemus is referencing, as the evidence of the “Kingdom of Heaven” at work. 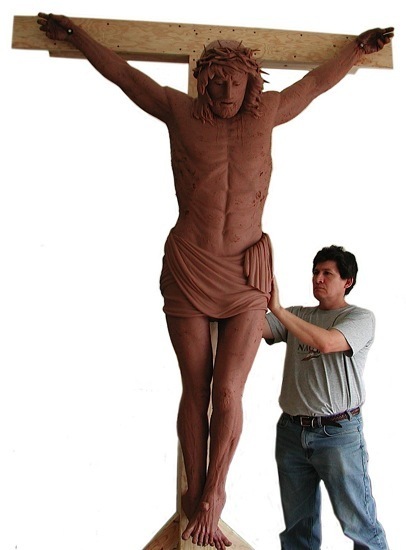 Nicodemus, a cleric with standing, was shocked at Jesus’ response. How could this lay person say such a thing to a member of the Sanhedrin? And what is this thing about being “born again”? Point: Jesus indicates that a person’s spirit must be “brought to life” or “activated” in order to be sensitive to the work of the Holy Spirit. Only the Holy Spirit can revive a person’s spirit by Grace, through The Word. Jesus refers to those who have received such sensitivity to the Spirit as having spiritual ears so they can her His Voice. 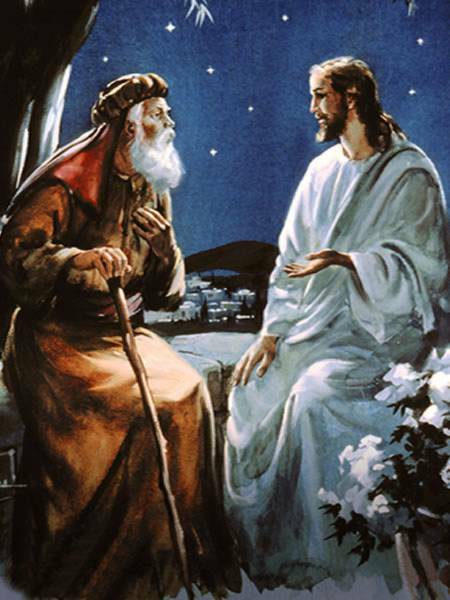 He also tells Nicodemus that although he has been granted the grace of this sensitivity and has responded to it by coming to Him, yet in order to be a disciple and participate in His ministry (ie., enter the service of the Kingdom of Heaven) he must take a further step and make a commitment to Jesus to follow Him. 2) yield himself to be empowered by the Holy Spirit (commissioned) to carry out the role he has been called to fill in the Kingdom. If your answer is “yes” to these latter two questions, then you should seriously consider making a declared commitment to follow Jesus. This is what being an “intentional” disciple is about. Comment: Note that Nicodemus did not take up Jesus’ offer of full discipleship at the time of his encounter with the Master. He did continue as a “discreet” or “undeclared” disciple which is the role most of us lay Christians, in our passive ignorance, inadvertently choose. I now implore you to meditate and pray on the themes and Scriptures I have presented to you andask the Holy Spirt to Guide you to discerning your calling. Then…act on whatever He tells you! Praised Be His Holy Name, Forever and Ever, Amen! § Are you Living God’s Love? Are you Living God’s Love? <> Letting God’s Divine Love work in us and through us. In walking the narrow path of discipleship with our Savior and Master, Jesus the Son of the Living God, we must remember that the utmost characteristic of a disciple is “Love”. Not just a brotherly type of love, but a God-ordained type of Love, “agape” or selfless Love. This type of love is the “Love” that characterized Jesus; it is the Divine Love of the Father Himself that is in us through our immersion in His Spirit, through baptism (cf., Rom. 5:5). This is the “Love” defined by Jesus: “As the Father has loved me so I have loved you” (John 15:9) and “Love one another as I have loved you” (John 13:34). It is the manifestation of this type of love, in us and through us, that distinguishes us as true disciples. It is NOT a love that we can release out of our own human efforts. It is a love that must flow from the Spirit of God that is in all baptized believers. But the problem being, that not all believers have come to the point in their faith-lives where they have released that spirit of God’s love into their everyday lives. Unless we can place the love of our brothers and sisters in Christ above our own lives we cannot lay claim to that kind of love as guiding our everyday lives. As an aspiring disciple, the most I can say is that, on certain special occasions, the Spirit of God working in me has unexpectedly brought me to that point, but upon realizing it I become aware that it was not me, so much as the Spirit of Christ working in me and through me, that manifested in a particular instance. I constantly struggle against my flesh to bring Christ into every moment of my everyday life so that His Kingdom of Love may manifest itself continuously through me. Later, after Jesus’ resurrection when he appeared to the disciples as they were fishing, He took Peter aside, to help him overcome his self-guilt, and asked him, “Simon, son of John, do you love me more than these?”(John 21: 15). Note that here, Jesus addresses Peter as, “Simon”, and uses a verb derived from the Greek word “agape” for “love”. Peter, now humbled from His prior denials and recognizing that Jesus was inviting him to restore fellowship, responded … “Lord, you know that I love you”, but using a derivative of the Greek word “phileo” (ie., brotherly love) for the word “love”. Thus now indicating that he could not, at this point, overextend himself by stating that he, in his human weakness, was able to commit himself to the divine level of “agape love”. 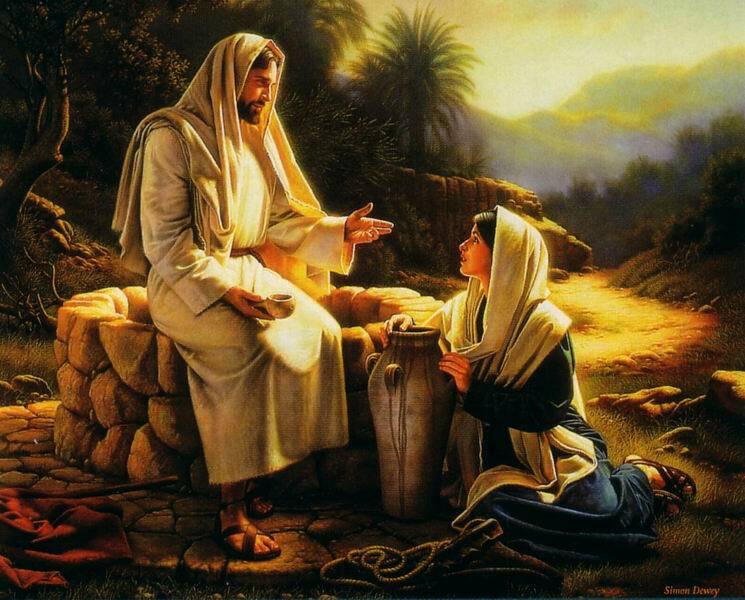 Jesus, after asking again, then asked the third time “… do you love me?”(John 21”17), but this last time He used the verb “phileo” for ‘love” thus indicating to Peter that He was accepting His response at the level he could offer because he was being sincere and placing the level of love he could genuinely muster. However, Jesus also, at the end of that conversation, told Peter that at the end of His Life his “love” for Jesus would, by the Spirit be brought to the ‘agape” level because he also would be crucified as a manifestation of that “Love”. As it was for Peter so it shall be for us, if we also respond sincerely to begin our walk with Jesus at the level of love that we are confident we can offer. It is with that level of love, then, that we begin our consecration to our master, with the door of our spirit open to the work of the Holy Spirit in us to conform us to the image of Christ and move us into the “agape” level of love. Of course the inherent interpretation is that without the empowerment of His Spirit of Love abiding within us, and obedience to His Word, nothing of spiritual value for His Kingdom can be accomplished. We may be very pious an religious, but if we are not acting out of selfless Love they will not be of service to the Lord and His Kingdom. In other words, in order to serve the Lord, our will must be submitted to Him and not our own ambitions and purposes. But the saying may also be understood to indicate that we, as believers, are only branches of His Vine of His Love, and, if we do not maintain an intimate relationship with Jesus, who is the Vine, nothing of spiritual value for His Kingdom can be accomplished since He alone is the source of Divine Love. Since it is clear that agape Love is essential to discipleship, the question remains as to how is this type of Love manifested in a believer that distinguishes him/her from those in the “world” ?. “Love is patient and kind; love is not jealous or boastful; it is not arrogant or rude. For our knowledge is imperfect and our prophecy is imperfect; but when the perfect comes, the imperfect will pass away. When I was a child, I spoke like a child, I thought like a child, I reasoned like a child; when I became a man, I gave up childish ways. For now we see in a mirror dimly, but then face to face. Now I know in part; then I shall understand fully, even as I have been fully understood. Now, being made aware of the Father’s purpose regarding abiding His Love, we come to the challenge of assessing whether we are living our lives in accord with His purpose for us. First of all, we must ask ourselves if we are in an intimate personal relationship with Jesus and are we submitting ourselves in love to His Love so that the Father’s will may be done in our lives as it is in Heaven. Are we walking in such a spiritual commitment and are we involved with a constant dialogue with Jesus as we perform our daily activities in this world. If not, then the first thing we must do is enter into such a consecration. If we are already walking in such a relationship, then we need to test ourselves daily regarding these virtues, so that we can, through repentance and communion, maintain our connection to the Vine and thus bear fruit for the Kingdom. However, if we are unsure of exactly where we stand in our relationship and commitment then I would recommend that you click on the following link for instructions as to how to make such a commitment to Christ. Above all Brethren, please ask the Holy Spirit to guide you in all that I have been saying and obey His guidance – for it is only through Him and the inspired Word of God that your spirit may be activated to interact and dialogue with the Divine! May the Lord bless you and guide you, and may His Face Shine upon you, and bring you into His Peace! 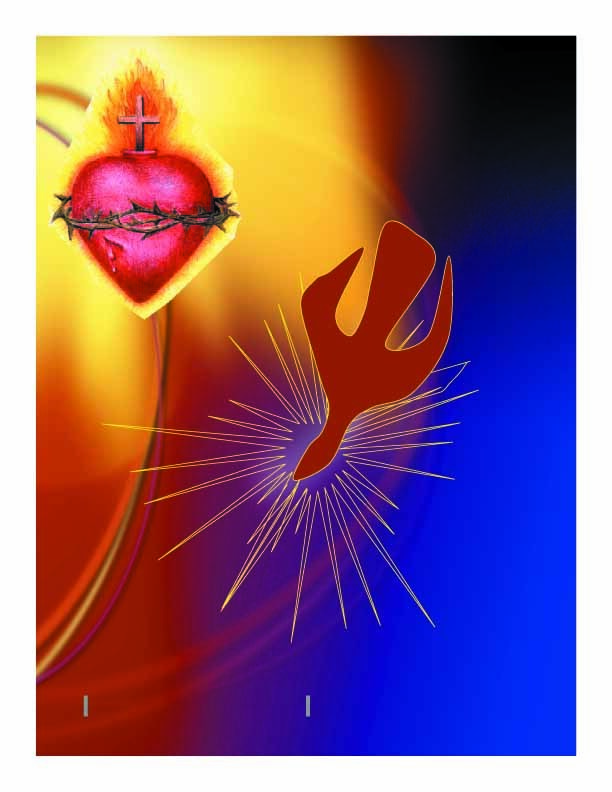 Has Jesus Arisen in Your Heart? 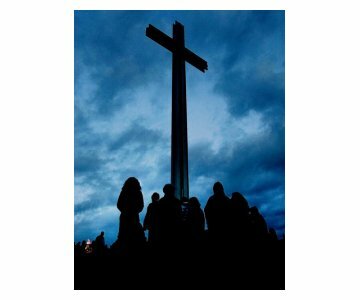 We have just celebrated the solemnity of the Resurrection of Christ – a feast which, along with His crucifixion an burial are the keystones of the Christian Faith. However, in the practice of our faith, some of us tend to overlook the fact that the Resurrection took place on the Jewish feast of Firstfruits and that Jesus was indeed the first fruits of a new creation. You see, Jesus not only died to pay for the sins of humanity but also so that He might be the first among many brethren (Rom. 8:29). So that He, living in us and through us beleivers, might continue the work of bringing the Good News of God’s Kingdom here amongst the people of the world. He was leaving, but He was passing His anointing unto us so that we might continue His work. In order to fulfill this, our role in this world, we need to be conformed to His image by the Holy Spirit (Rom.8:29) and yield ourselves to His rule so that we can be empowered to be His instruments in bring in forth the Kingdom. However, this cannot happen unless we, of our own free will, permit the Son of God to “arise in our hearts” so that we can experience His resurrection presence in us – only then can we be His partners in being instruments of the Father’s Will here on this earth! Because the Father will not impose Himself on us, our salvation is NOT contingent on our decision to become His bondservants – it must be a free will decision of “agape” Love to give ourselves as a living sacrifice to the Father, in Jesus’ Name! (Rom. 12:1). Our decision will then allow the Holy Spirit to work in us and through us to renew our minds and empower us for the work of the Kingdom and for the final transition to union with Him! To begin this spiritual transformation the Holy Spirit begins by first awakening our spirits to His leadings – an awakening that can only be accomplished by Him, as Jesus explained to Nicodemus (a leader of the Sanhedrin). In essence, our spirits have to be re-born from above so that the Spirit of Christ may come into us. This, the Arising of Jesus in our hearts, is the first step in being conformed to His Image. Jesus answered, “Truly, truly, I say to you, unless one is born of water and the Spirit, he cannot enter the kingdom of God.That which is born of the flesh is flesh, and that which is born of the Spirit is spirit. We ended this Lenten season with the Glorious Resurrection of Our Lord and Savior from the dead and as the harbinger of our own spiritual transition that begins with our transition from unbelief to a Living Faith and a renewed Life in the spirit as Children of God – a renewed awareness, which permits you to sense the “wind” of the Spirit. In this series of articles I will be discussing the various levels of transitions we must all go through in our journey to spiritual maturity as the Spirit Conforms us to the Image of Christ. Besides laying the groundwork for an understanding of the nature of these transformative stages, the first stage I will be discussing will be our coming to the awakening of our spirit. If you can sense the “wind” of the spirit then you have an awakened spirit and are beyond this first stage. If not, then you need to ask God to send His Holy Spirit to renew you. We cannot live in this world without undergoing transitions – in fact, natural life, itself, is a process in which transitions are of the essence. What we don’t realize or sometimes take for granted is that the development of our spiritual life itself requires a series of transitions in order to mature our spiritual nature sufficiently so that we may enter into a true and fulfilling intimate living relationship with the Divine through Christ Jesus who is the Way, the Truth and the Life. We all are tripartite beings composed of body, soul, and spirit (1Thess. 5-23). Our body and soul are designed to permit us to interact with our natural and time constrained environment in order to be able to subsist and procreate to thus fulfill our natural role in this world. Our spirit, is, essentially, our inner sanctuary, designed to permit us to interact with our creator so that He may partner with us in the living out of our our lives, and thus be His instruments in bringing forth His will into this creation in our God-intended role for us. However, as natural descendants of Adam, and victims of his rebellion against being ruled by God, we are born with an inactive spiritual connection to the Father – with an empty and desecrated sanctuary, so to speak. In this, our natural state, we are, of necessity, controlled by the physical and emotional necessities of the world around us as well as the forces of darkness which utilize our weakened state to foil the Father’s true purpose for the human race and, essentially, attempt to bring us to a final destruction. Jesus, the Father’s Only Begotten Son, was sent not only to save us from our sins by satisfying God’s justice but to restore our spiritual nature to its original state before sin entered into human nature and thus reconnect us to the Father via the Holy Spirit and His Word. Because of sin, our human body is destined to return from the dust from which it came. But our soul and spirit are destined for a recreated body at the resurrection of the dead when Jesus returns – no longer as just our savior, but to judge the living and the dead, to determine where we will spend eternity. Before that day comes, we who have believed in the Christ and the Good News of Salvation must pass through a series of spiritual transformations or transitions, not only to be saved but also so that we may be His instruments in bringing the same Good News to this fallen world. These transitions begin with the first stage: the re-birth of our spirits, just as Jesus told Nicodemus, “You must be born of water and the spirit” in order to enter into this stage of spiritual renewal. If the naming of these major stages surprises you, don’t worry, most people brought up in our traditional religious culture, as I was, would not be familiar with these terms. They are unfamiliar because our religious culture uses other terminology to express them. The reason is that our culture of “intellectual enlightenment” tends to avoid using the terms, “spirit” and “spiritual” – which are considered to be too theologically abstract for the common man. For instance, in our cultural thinking the term “conversion” is considered as merely coming to a different intellectual understanding or assessment of certain philosophical or cultural tenets and the realignment of our lives to that renewed understanding. It cannot even conceive that the term, as used in scripture, refers NOT to an intellectual change of mind but of our response to hearing the Word of God in our “heart” or “spirit” thus evoking an understanding in us that tells us that we are not walking in harmony with God’s Spirit – a level of “spiritual awareness” that brings a deep desire in our hearts to repent and turn to follow His leading so that we can be in alignment to His will. When Jesus told the crowds that “…. unless you are converted and turn [repent] you shall all likewise perish” (Luke 13:5) He was not speaking about them accepting a new philosophy or theology but about something that had to occur in their “spirits”, not their minds through the Word preached to them – a spiritual impartation that would cause them to accept the Good News of Salvation that the Father was offering them through Jesus’ preaching and teaching. Here Jesus, by direct revelation, makes it clear exactly who He is and that the Father desires for us to come before Him “in [a renewed] spirit and in truth”. Jesus came just so that we could have a reborn spirit so we could worship the Father as He desires to be worshipped. How many of us can say that we “know” that our worship is “in the spirit”? I, before my spirit awakened, a compliant baptized Christian, did not even know what being “in the spirit” was! Just as the Word had to be heard directly from Jesus to be able to be received spiritually to activate their spirits, so also we who have heard the testimony of “tradition” must spiritually seek out Jesus for ourselves and hear the Word directly from Him in order to complete the first stage of transition from unbelief to belief an have the Risen Jesus present in our hearts (spirits). Praised be His Holy Name!! In living out our faith however, we get stuck at the intermediate stage,” the testimony of tradition”, and never seek out Jesus for ourselves to activate our spiritual awareness. We don’t do it because we cannot comprehend that, “in faith” we can transcend our human circumstances and reach out to Him “in the spirit”- our reborn spirit that is NOT bound by the natural circumstances in which our physical self is embedded! One of the reasons we don’t even try is because our religious culture is very cautious in teaching us about our newly awakened spiritual nature and what our spiritual legacy in Christ really is! And that legacy is that we now abide in HIM and HE in us in our spirits and that because of this we can take the next step in faith into spiritual waters and actually experience His presence and Hear His Voice in the here and now! Again, let us give praise to His Holy Name! Our religious initiation, again, tends to major in the doctrinal portion of catechesis and glosses over the “spiritual” portion also required so that, although new initiates are given the basic teachings as the church’s testimony of the necessary tenets of the Faith, they are not usually given any spiritual direction or incentive to seek out Jesus, personally, “in the spirit”, so that they too may recognize Him in the breaking of the bread, confirming His Word in their hearts and thus truly letting the Holy Spirit awaken their spirits through the Word. Here, Peter clearly indicates that it is the anointed preaching of the Good News, the Word of God, which awakens our spirit and brings it to a new life in Christ. 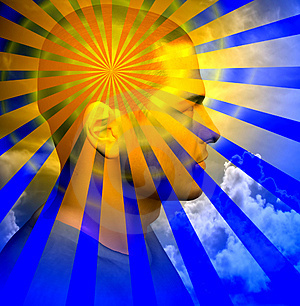 For those of you who have been baptized and have not yet completed this stage of your transition to a full awakening of your spirit, all you need to do is …. Once you have sincerely asked, in prayer, then partake of the Word in faith and it will be opened to you so that you also may hear the Word of the Good News with your “spiritual” ears and if you respond to that Word you will receive the grace of God for a ‘spiritual” awareness of His Presence in you – the beginning of an intimate personal relationship with Him! My Brothers and sisters NOW is the time to act on the WORD and receive all that the Lord has provided for those who believe! May He reveal His Presence in you and may His Word burn in your hearts forever! Baruch Ha Shem! Blessed be the Name! Cast Your Net on the Other Side! Jesus, The Source of Living Water and Us! 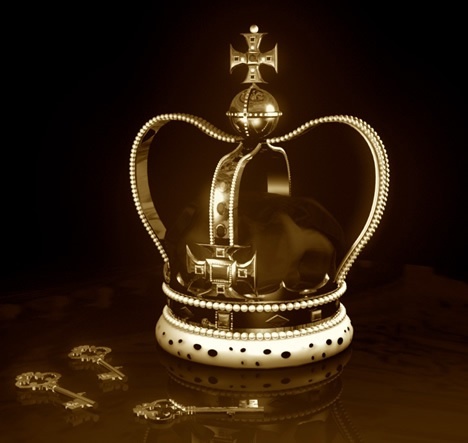 § The Gospel of the Kingdom: Living Out The Word! The Gospel of the Kingdom: Living Out The Word! Let Christ Be Your KING! Obey His Word! It should be evident to you by now in your walk with the Lord just how essential the Word of Life is to your calling to follow Him. Jesus told His Disciples: “Without Me you can do nothing” (Jn..15:5) – and, since Jesus IS THE LIVING WORD of God made flesh, this truth may also be stated as: “Without the Word of God you can do nothing (of spiritual value“). We cannot, in fact, call ourselves Disciples of Christ, without living out the Word of God in every moment of our lives. Jesus said, “When you lift up the Son of Man, then you will know that I am He, and I do nothing on My own initiative, but I speak these things as the Father taught Me (John 8:28 ). As His disciples we must also be able to sincerely state, ” I do nothing of myself, I only do what the Father, through the Holy Spirit, tells me to do”. In order to be, at this stage of discipleship, we must be in a day-to-day personal relationship with Jesus and guided by the Word every minute of our lives. The moment we start to deviate from what Jesus or the Father tells us through His Word we will stumble in our walk with Him and open ourselves to the deception and destruction of our souls by the enemy of our souls – Satan, the Father of Lies. When we do stumble, for we all do, and we are yoked to Jesus, He will quickly pick us up and help us recover with minimal impact (1 Jn. 1:9). What we need to understand is that as fallible human beings we cannot attempt to accomplish this level commitment to “Live Out the Word” on our own. If we are truly yoked to Jesus, then, It is only through His Spirit in us that He accomplishes this, in us and through us. It is not of ourselves, so that no man may boast but rather it is of Grace through Faith in the Spirit of Christ that is in us! 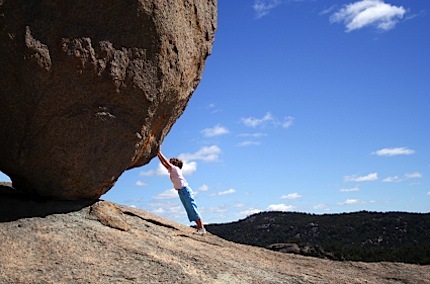 What obstacles, then, still hinder us? Why is do we find it so difficult to live out the Word in our lives and thus truly be His disciples? Sadly, my brethren, the answer is that the human “self” in us is the major obstacle to true discipleship. Even when we “try” to follow Him, without realizing it, we are doing the very opposite — just because it is our “self” that is doing the “trying”. Now, don’t condemn yourself. Jesus did not come to condemn us He came to set us free from these foibles of ours. He came to bring us to the “Truth”, so that through understanding the Truth, in the Spirit, we could be set free to follow Him as a New Creation in Him and through Him!. 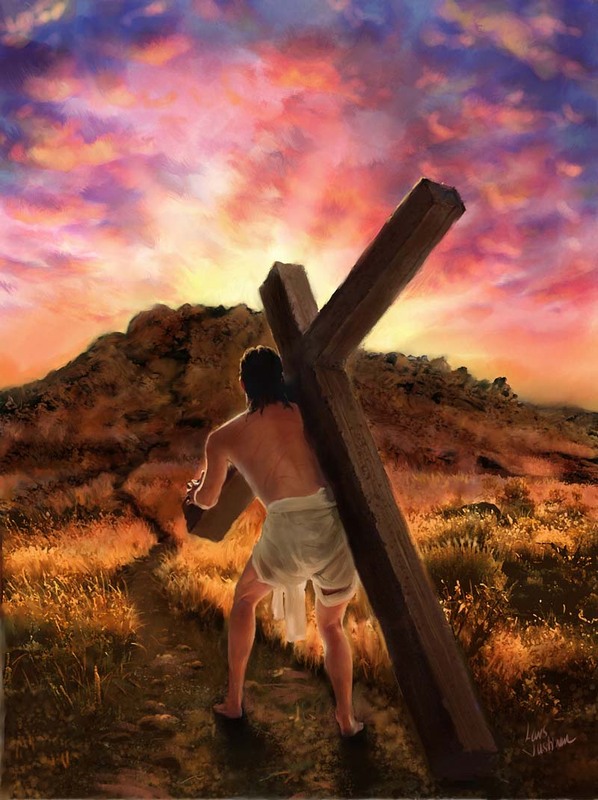 His inspired Word is the “Truth” for He is the Word made flesh – and He and He alone can set us free so that the will of the Father may be accomplished through our lives – the only condition being, that we must deny our “old selves” and thus take up our cross DAILY in order to follow Him (Matt. 16:24). Now, here is the hard part to understand. All of our lives we have been trained and taught to accomplish things in life out of our own self-directed efforts. In the world around us we are taught from early youth that we can do anything we set our sights on “through performance, ambition and hard work”. It is in fact the primary driving factor in most of the developing world and beyond. Because of this cultural conditioning we all grew up in, we injected these same ideals into the practice of our religion. It was thus natural for us to think that the best way we could honor God is by doing something “for” Him “through performance, ambition and hard work”. The problem is that when we enter into this type of self-directed effort we diminish its spiritual value because we derive our own personal glory from what we are doing, even though it is for a noble cause. The “Good News of the Kingdom” or “Gospel” that Jesus proclaimed, however, was a Heaven-shaking pronouncement that was essentially telling all mankind that the Father was introducing to us a new way of living our humanity that would truly bring Him the Honor and Glory He desires from us, His children. Jesus termed this New Way of Living out our lives as, “the Kingdom of God” or “the Kingdom of Heaven”. He further told us that our entry into this “Kingdom” was to begin in the “heart” of each of those who believed in Him and His proclamation, He further said, that what God, the Father wanted was for us to enter into a relationship with Him, through belief in Jesus, so that we could be filled with His Spirit and, that through that infilling, His Spirit would work in us and through us to accomplish His will here on earth as it is in Heaven by living out His Word! In this way by, yielding to Him and His Spirit, it would be that He, the Godhead, would work through us to bring forth His Kingdom, instead of us trying to do “for” Him, that which, as humans, is really out of our reach. The “Good News of the Kingdom” Jesus proclaimed, was essentially telling us that the Father, being aware of our human incapacity to fully satisfy His desires to bring Him Honor and Worship, was bringing forth, through the sacrifice of His Son, a new epoch for Humanity wherein He Himself, in the person of His Son, would enter into us so that as His partners He would work in us and through us to bring forth His Kingdom in this world! Praised be His Holy Name! That is why when His disciples asked Him about how to pray, He told them that the foundational prayer of discipleship (the “Our Father”) is to first acknowledge the Father for who He is and then to submit to Him by asking for Him to Reign over us so that through our obedience to Him (and His Word) His Will would be done by us and through us in this world (as it is in Heaven). All that is required of us is to submit to “His Kingdom” or “His Reign” over us and to believe the Gospel, repenting in Faith, and yielding our “old selves” totally to Him so that He could give us a “New Self” through which His Spirit could operate in this world. In this way, the impediment of the “old self” “trying to do things for God” would be taken out of the way and a “New self”, conformed to the image of Christ would be placed in us, empowering us to do His Will, and only His Will, here on earth (as it is in Heaven). Of course, yielding to Him, as King, involves yoking ourselves, spiritually, to Christ (Matt.11:28-30), so that the Spirit of Christ in us would bring all Honor and Glory to the Father through living out His Word in our lives. This is what the process of “discipleship” is intended to accomplish in us, so that, through obedience to His Word the renewal of our mind to be conformed to the mind of Christ (Rom. 8:29) would proceed and so that we become truly single-minded in devoting our all to Christ as a living sacrifice to the Father for the Glory of His Name! Our problem as “Christians” today, is that, although we are all called to be Christ’s disciples, we have not all been fully successful in yielding to the Spirit and denying our “old selves” so that the Spirit of Christ can be released in us. Instead we live out our lives with one foot in the flesh and the other in the spirit. This is what St. James termed, a “dual-minded man” (James. 1:7; 4:8). Yes, the “Good News” is sometimes not fully realized by us because it is “bad news” for our “old man” in the flesh, who doesn’t want to hear it. That is why the call to discipleship is being made again to all believing Christians – so that, with the help of the Holy Spirit we can truly assess whether we are being conformed to the world or to Christ. We are either in one state or the other – we cannot do both and be His disciples! Remember, our “old man has been crucified with Christ and no longer has any power over us but it is up to us to affirm the freedom from sin that Christ won for us on the cross – it is up to us to renounce sin, which no longer has power over us and to put on the “New Man” in Christ so that He and He alone may live in us and through us so that yielded to Him in this manner He may bring forth His Kingdom in us and through us to the Glory of the Father! This, brethren, is the Gospel of the Kingdom that Christ asked us to preach and which I, again, proclaim to you today so that you may assess your walk with Him. Examine yourselves and crucify, therefore, your “old man” of the flesh and put on the “New Man” you are in Christ Jesus by surrendering yourself to Him as your King, Your Lord, and your Savior; obeying His Word and following the leadings of His Spirit! Praised be His Holy Name! Ask yourself now: Am I ready to strive for spiritual growth in Christ to the level that the apostle Paul set for himself? 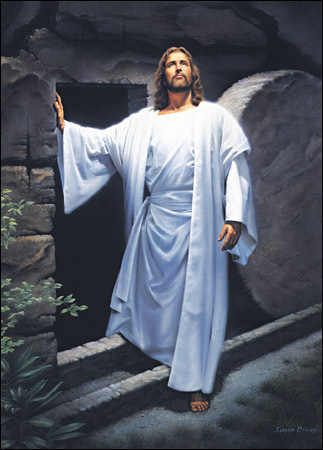 Are you ready, no longer to live for yourself but for Him who died and was raised for you? Pray about it. If you would like to ask the Holy Spirit to help you rededicate yourself to Jesus so that you may be truly live out the inspired Word in faithfulness to the Gospel of the Kingdom, I refer you to the “Prayer Of Commitment” (see link below). If your motives are sincere, you CAN BE SURE that the Holy Spirit will work in you to bring you fully into the Kingdom, where Jesus will comfort and strengthen you personally and you will continue in His Rest! A Renewed New Life for the New Year! It is common practice, for most of us in the west, to make some resolutions at the beginning of each new year that will lead to improvement our lifestyles through the removal of unhealthy habits and/or the initiation of what we may suppose are good ones that will truly bring about the desirable changes in we envision. Unfortunately, especially for those of us who are Christians, the truth is that we always approach these attempts at personal renewal from a purely worldly viewpoint ,that is, mainly to permit us to live longer and, we hope, more enjoyable and prosperous lives in todays world. Rarely,if ever, do we undertake “New Year” resolutions to improve our spiritual lives to really come to a renewed spiritual life in Christ, a union so intimate, we can without any hypocrisy, cry out “Abba or Daddy” to His Father and our Father. A union that permits us to dialog with the Divine in such way as to truly experience, in the spirit, our heritage as adopted sons of the Father and heirs of His Kingdom. The primary reason for this secular tendency on our part, is that our life in this world remains the focus of our reason for living. For many of us the “spiritual life” is merely a theological term that does not resonate with us as being an accessible reality. Oh yes, the songs and hymns we sing in church may stir up some pietistic emotions that we may consider as spirituality but hardly ever do we find these emotions moving us to act in faith so that the Spirit of God may transform our lives so that we can truly see the changes we know we need, so that we may escape from the enticements and lusts of the world that have such a hold on our lives. Because all of us are a composite of spirit, soul, and body we usually have a hunger for true spirituality that goes unfulfilled. The reason for this is, that although we pay great attention to the needs of our soul and body, we tend to ignore and neglect the spiritual side of our being. We mainly attempt to meet the spiritual emptiness inside of us with non-spiritual solutions for our soul and our body,without tending to our spiritual needs first. In making such a resolution we must avoid thinking that what we will be doing is a dedication of our own human efforts to enable a spiritual change in ourselves. Please understand, we have NO WAY to bring spiritual life to our selves or to others. Just as Jesus said: “Spirit begets spirit and flesh beget flesh”. True spiritual life can only come from the source of all Life, Jesus, the Word of Life. 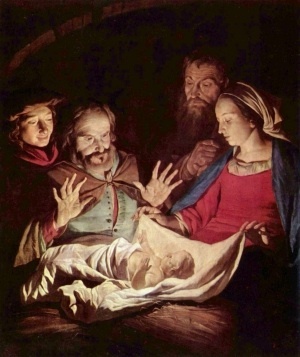 As John the Evangelist said: “In Him was Life and the Life was the light of men” (Jn.1:4), Jesus who is the Word made flesh, He is the one who brings us to life, not only in human flesh but in our spirits as well. He, and He alone, is the Door to spiritual life and, as He told us: “I am The Way The Truth, and the Life; No one comes to the Father but by me” (Jn.14:6). So you see, our resolve must be to yoke ourselves to Jesus (Matt:11-29) and yield ourselves to the Holy Spirit for the rest of our lives. For only through Him and His Word can the Spirit of God be released in us to bring us to new life in Christ and thus satiate our spiritual hunger! Our only part in the resolve is through an act of faith in Christ, that is, an act of our will where we repent of our attachments to the world system and ask Jesus to come into our hearts and be, not only our savior, but also our Lord, and thus open the door for Him to take control of our lives through the working of the Holy Spirit. In this manner it will be the Holy Spirit working in you and through you who will effect a true living spirituality in your person to the Glory of His Name! It is the making of such a resolution that is the foundation for a sincere and true Christian life. It is a resolution that has has also been the foundation of all historical Christian communities. Yes, God has provided the Graces needed for renewal through Christ, but in order to activate these Graces we must respond in Faith. That is the Challenge for all Christians and for their communities. As an example let us look at St. Paul’s dealings with the Colossian community, whom he initially founded. He tells the community, in His letter to them, that he is constantly praying for them that they may be strengthened in Christ who will sustain them in their resolve. He does this because he knows that, although they received the Gospel, they are struggling to extricate themselves from the pagan culture and world in which they are embedded and that they are in need of an affirmation of their faith to strengthen their resolve. Listen to the words of encouragement he gives them and take it to heart for yourselves. “For this reason, since the day we heard about you, we have not stopped praying for you and asking God to fill you with the knowledge of his will through all spiritual wisdom and understanding. And we pray this in order that you may live a life worthy of the Lord and may please him in every way: bearing fruit in every good work, growing in the knowledge of God, being strengthened with all power according to his glorious might so that you may have great endurance and patience, and joyfully giving thanks to the Father, who has qualified you to share in the inheritance of the saints in the kingdom of light. For he has rescued us from the dominion of darkness and brought us into the kingdom of the Son he loves, in whom we have redemption, the forgiveness of sins. He is the image of the invisible God, the firstborn over all creation. For by him all things were created: things in heaven and on earth, visible and invisible, whether thrones or powers or rulers or authorities; all things were created by him and for him. He is before all things, and in him all things hold together. And he is the head of the body, the church; he is the beginning and the firstborn from among the dead, so that in everything he might have the supremacy. For God was pleased to have all his fullness dwell in him, and through him to reconcile to himself all things, whether things on earth or things in heaven, by making peace through his blood, shed on the cross. In accord with Paul’s exhortation and encouragement, I urge you, my brethren and fellow pilgrims, to commit or renew your resolution in this New Year and to separate yourself from the world by to yoking yourself to Christ and by yielding yourself to the Holy Spirit so that , together, we may continue more faithfully in our walk in the spirit through the narrow gate to Life, not the flesh but in the spirit! There is no other way, for it is only in the spirit that we can truly worship and it only through true worship that we can drink from the living water of Life! To this end I attach a prayer (below) to the Holy Spirit that you may amend or use, as the Spirit leads, to formulate your own personal response for your resolution to enter into Life. I pray that you will listen to what the Spirit is urging you now so that you may take your first step into the Kingdom of God’s Love! Praised be His Holy Name! To Him be all the Glory Forever and ever . Amen! © B.R.Timeo and Bartimaeus’ Quiet Place, [2008-20013]. Now, if the terminology, “baptism in/with the Holy Spirit”, creates a theological hurdle for you receiving the gift of the Holy Spirit, just think of what you are desiring as a “release of the Holy Spirit” that is already in you through baptism and confirmation. The Holy Spirit is not so much concerned as to your theological understanding of the Promise of the Father as much as He is looking for your sincere desire to be open to His working within you and through you no matter how or what you call it! All He wants is your permission! Your surrender to His purposes in and through you! Once this is settled in your mind, then you need to pray about what you are sensing in your spirit. If, after prayer and meditation on the scripture you sense a strong sincere desire to receive all that the Holy Spirit has for you and to be open to His working in and through your life (without restrictions on your part), then you are ready to proceed to the next step. Now, begin praising and worshiping God with all your heart. Release yourself from all the inhibitions you have and raise your voice in songs and psalms. Express those longings you have held in your heart for so long but were unable to let loose because of your inhibitions. As you sing and worship release yourself to the Holy Spirit so that He can pray and worship through you. As you enter this time of praise and worship you will begin to experience a sense of the presence of the Lord. You will begin to lose your self-consciousness and you will sense that the flow of your prayers and song is coming as if from out of nowhere. In fact, as your praise increases you sense that you are uttering words that are no longer in your mother tongue. But you know in your spirit that these words are honoring God so your flow in these phrases increases. You have just received your prayer language. You are feeling so blessed, you find that you don’t want to stop. Don’t stop. Pray and sing your heart out, glorifying God! Praised be His Holy Name! You have now ”Entered the Kingdom” of the Father! Walk in the leading of the Holy Spirit and be obedient to His call! I think it is very important that we have a clear understanding of what it means to be a “Disciple of Jesus Christ”. It is important, because it is in God’s purpose that all believers in Christ be aware of and understand, His call to enter into a discipleship relationship in Jesus His Son. In order to do so I believe that we must first understand what Jesus meant when He used the term “disciple”. I say this because if we really feel called to a true discipleship relationship with Jesus, that is where we have to start. In general, the term “to be a disciple” meant and still means is to submit to being taught through a specific discipline. In Aramaic, it referred to the training/discipline you receive as an apprentice, where you learn by observing and doing what your master/teacher does. What does it really mean to be a disciple of Jesus Christ? All Christian believers are expected to be “disciples” in that our lives should model the Love that motivated Jesus in every respect. If practiced according to New Testament scripture, it is not based on our effort to be good and loving, but the process whereby the Holy Spirit works in us to “conform us to the image of Christ” (Rom.8:29) so that our becoming is the result of His indwelling presence in us. It is a process that begins when we yoke ourselves to Christ so that He can do the Father’s works through us! But it requires a decision on our part, a decision beyond accepting the free gift of salvation in Jesus as savior. Now, we know from the Gospels that Jesus said He never did anything of His own will but according to the will of the Father, He also said that He only did what He saw the Father doing and said what the Father told Him to say. If he healed the sick and cast out demons, it was because He was accomplishing the Father’s purposes for Him in His ministry to others. So too, if we are being conformed to Jesus, the process will involve being His apprentices (disciples) and yielding ourselves fully to the Holy Spirit so He can work in us and through us in doing nothing but what the Father wants us to do in fulfilling His purposes for us. 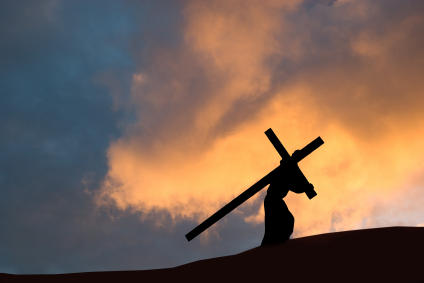 In doing so we have to follow Him in the Spirit, die to our own self-will, carrying our cross of self-denial daily in order to truly be a disciple of Jesus, in the way that Jesus used the term. We enter this level of discipleship only when we willingly, out of Love, offer ourselves as a living sacrifice (Rom.12:1), emptying ourselves of our own self-will so that He may Increase in us as His Will is done through us! The purpose of a disciple, then, is not so much “bringing people to Christ” but rather “bringing Christ to people” by letting His Kingdom of Love manifest through us. I think we are all aware that in today’s world, we apply the term “disciple” or “discipleship” in a much looser framework. Many Christians use the term in alluding to their service in the church. We use this term to describe the time we give to ministry, even when we are usually serving our own ambitions by doing religious work for Him rather than listening and doing what He really wants to do through us. Others, like myself use the term “disciple” as a synonym to “believer” (although I have now, personally, relented from doing so). Even in the New testament, apart from Jesus’ declarations, we see the term used with a variety of connotations in reference to believers. For instance Joseph of Arimathea and Nicodemus are referred to as “disciples” in John’s Gospel, even though they did not actually follow Jesus and did not declare themselves openly because “they were afraid of the Jews”. I point this out because I just want to make it clear that the term “discipleship” that will be under discussion in this posting is with regard to what Jesus originally meant by the term, not what it later came to mean. The scripture quoted in the header is an example of what Jesus meant by a “disciple”. The first hurdle we have to cross in coming to a clear understanding is that, while all disciples are believers, not all believers are disciples. A believer receives the free gift of salvation and reconciliation with the Father at the cost of Jesus’ giving of His life for us when he/she accepts Jesus as their personal Savior and repents of their sins in a sincere conversion and subsequent baptism. However, although the new believer also receives a calling to be a disciple of Christ as part of the graces at baptism, not all believers respond to the call to discipleship – essentially, to yield to the Holy Spirit to conform us to Christ and be yoked to Him so as to be His partners in bringing forth the Kingdom. All believers are called to discipleship but not all, for a variety of reasons, respond to the call. The main reason being, that we are not taught clearly about what discipleship really entails and so we mainly follow traditional thinking that the call to discipleship is merely the call to full time ministry, which is not the case at all, it is a call to yield full control of our lives to Jesus so that HE may continue HIS service to humanity through us! Besides receiving their calling as adopted sons of the Father, all Christians are also called to be disciples. However accepting this call is left as a free choice to every believer. To be a disciple is not compulsory to receiving salvation or adoption as children of God. It is a free choice because it must be a decision that is made out of the deepest love for God. A decision to yield oneself entirely to Him so that He, and He alone, may reign in us! A decision to give up our right to ourselves so that God Himself, through His Spirit, can work in us and through us to accomplish his purpose for us in this world! And His purpose for us in this world is to bring His Kingdom into manifestation through His Love which he has poured into us by His Holy Spirit! It is volunteering to be a worker in His Harvest regardless of the cost. The purpose (or calling) of a disciple is to be a stand-in for Jesus and act in Jesus’ name and in His Spirit to continue Jesus’ ministry to the world – that is, to proclaim and LIVE the Good news of the Kingdom with signs following and to make disciples. This is called the Great Commission. It is the call for workers for the Harvest. But, contrary to popular opinion, it is not necessarily a call to full time ministry – one can fulfill this calling as whatever state in life you currently are. The Spirit of Jesus in you will then lead you to where He wants you – and it may be in the very same state where you received your calling or He may tell you to go into full time ministry. But it must be His call not yours. Most of our religious traditions emphasize that “the Great Commission” is for all Christians, presuming that all are Christians have accepted their call to discipleship. In reality, however most Christians, don’t even realize that discipleship does not automatically ensue from our baptism. Living in discipleship means accepting being Yoked to Christ so He can live in you and through you. You cannot freely make that decision until you are fully aware of the cost of that decision in that you are surrendering control of your life and placing it in Jesus’ hands. It is a decision to walk by the spirit and not by the flesh. It is a decision to yield to the Holy Spirit to form us into the Image of Christ and empower us for His Service. It is a decision to be empowered by the Holy Spirit with ALL the Spiritual Gifts that are needed to accomplish the task we are assigned. We cannot just pick and choose those gifts we are comfortable with or exercise those gifts wherever we want – we have to follow the leading of the Spirit of God in all that we say or do. Everything we say or do must be the Father’s will and not our own. It must be stated that many of our religious traditions do make the conditions for discipleship VERY clear to those who choose to be ordained or enter into the consecrated religious Life. However, there is need to also reach out to us lay people so that it is clearly understood that a discipleship relationship with Jesus is available to ALL Christians not just the ordained, religious or ministerial staff. And the entry point to this “unofficial” type of discipleship for lay people is through prayer. 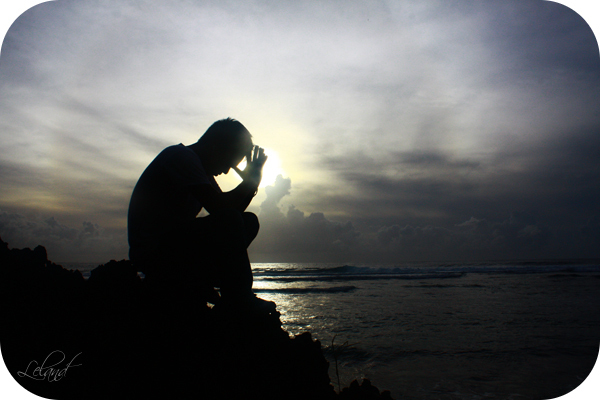 Not just the superficial type of supplication prayer most lay people are accustomed to but a spiritually intimate, contemplative, mode of prayer such as the “Lectio Divina” mentioned in my previous posting. Without an intimate prayer life, it would be extremely difficult to discern the Fathers directives for your life and His specific will for those to whom you are ministering. You need to Hear His Voice in order to Obey! This type of discipleship may be entered wherever you are in your life – it begins with a sincere prayer of repentance and a re-dedication of your life from that point on to the Lord! The Lord can use you as a disciple wherever you are. He can use you a as a husband and father, He can use you as a wife and mother, He can use you as a single person and as a student still in school! He will lead you and guide you using the circumstances of your life, because He will be your partner in the circumstances of your life or, rather, you will be His partner as He works in you and through you! But you have to let Him In! You have to ask to be YOKED to Him! And you have to put the Word of God into action in your life and the lives of those around you, so that you too, like Jesus can say: “The Spirit of the Lord is Upon me , because he has appointed me to proclaim the Good News ..” (Luke 4:18 ) through the life you will then live in His Name! 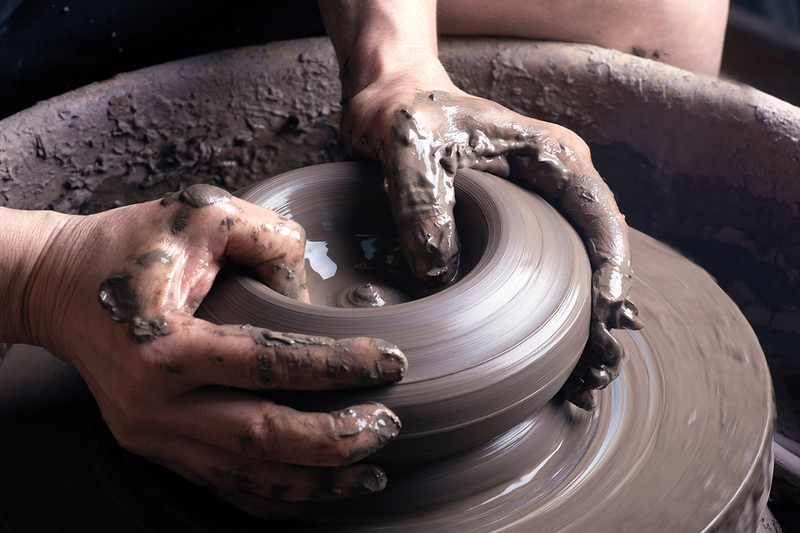 This how you become Jesus’ apprentice – because that is what true discipleship entails! — Jesus is the WORD so if you are to Live like Jesus you have to live out the Word in your life! — It must be an integral part of your life as a disciple – HIS WORD is a lamp unto our feet a light unto our path! — The Word is the most powerful defense and offense we have against the powers of darkness,. It is the Sword of the Spirit that you will need to put off these forces that will come against you when you make your decision. — It enables s a deep spirit-to-spirit dialogue with our Teacher to enable us to understand the WORD of God, and the Father’s Will and His purposes for us so that we can be His instrument in bringing forth the Kingdom through our lives. — It provides us the spiritual basis and strength we need to persevere in the faith of our calling. — It provides us the spiritual insight and empowerment we need to put the Word full into practice. — Discipleship is apprenticeship – and apprenticeship involves taking action in faith. — It is NOT us doing something for God BUT letting God do something through us. –When we thus yield ourselves to the Spirit everything we do or say will always be within the moral code established by God because the Spirit of Jesus in us will NEVER do something outside the Father’s will. — If we do not put the principles of the kingdom into practice through the Spirit that is in us, we cannot bear fruit for the Kingdom and all our effort at growing spiritually will be for naught. — If we attempt to take action to carry out the Kingdom principles on our own we will utterly fail – for our walk must be in the Spirit and not in the flesh. 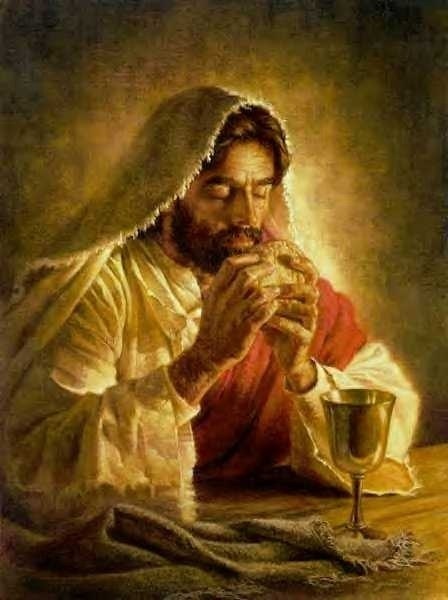 — In order to sustain us as we “let His Kingdom Come” we also need Our “Daily Bread” – His Body and Blood as presented to us in Holy Communion. If possible, received on a daily basis. — And since we ought not partake unless we are in a repentant state (1 Cor. 11:23-27)), we also need the: graces offered in the Sacrament (ordinance) of Reconciliation. — Living out our discipleship within the circumstances of our lives with humility, perseverance and faith. Praised Be His Holy Name!! May the Lord Bless you all and may His Spirit enable you to respond to His call! • Living In the Kingdom NOW! • Hearing God’s Voice … and Obeying It!